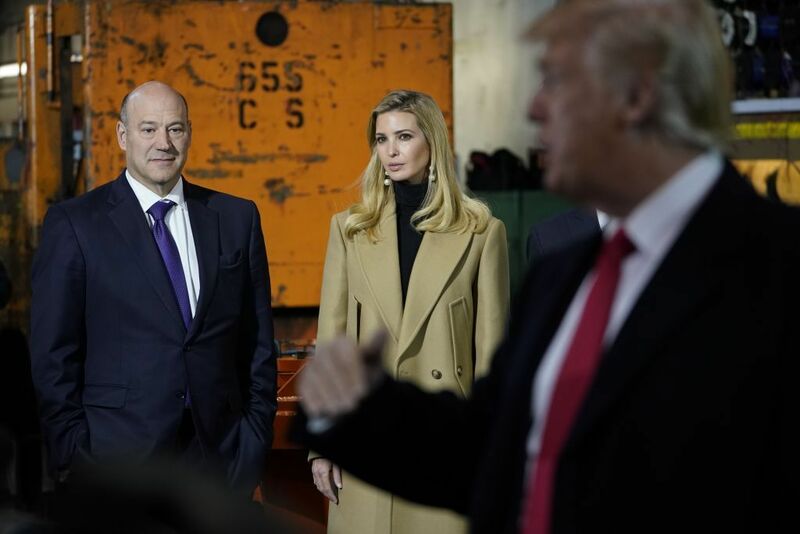 President Donald Trump’s former economic adviser Gary Cohn strongly criticized the administration’s trade policies, slamming tariffs as harmful to the economy and pointing to a record-setting trade deficit in 2018. Stephen J. Dubner, who interviewed the former Trump adviser, pointed out that the majority of economists agreed with Cohn’s point, except for Peter Navarro, who serves as the president’s director of the National Trade Council. Cohn concurred, saying, “There’s only one in the world” who disagrees, in an apparent jab at Navarro. Linda Lim, a professor of international business strategy at the Stephen Ross School of Business at University of Michigan, told Newsweek that Cohn’s assessment of tariffs was accurate. “Cohn is correct that tariffs hurt the country that imposes them—in this case the U.S., because it is American businesses and consumers who incur higher costs and pay higher prices from the tariffs—which are essentially a tax on imports paid by the purchaser of the imports,” she explained. Trump has defended his use of tariffs, arguing that they have raked in billions of dollars for the U.S. Treasury. But analysts have pointed out that the amount taken in by the Treasury from new tariffs is minor compared to the total it collects. The additional money also came from U.S. consumers and not foreign exporters. Meanwhile, the U.S. economy has reportedly lost billions of dollars due to its ongoing trade disputes. The U.S. trade deficit, which Trump has used to justify his trade policies, has actually ballooned to a record high under his administration. Last year, the deficit rose to $891.2 billion. When it comes to China, which has received the brunt of the president’s ire for its “unfair” trade practices, the trade gap also reached a new record of $419 billion. The previous trade deficit record of $838.3 billion was in 2006, under President George W. Bush. Cohn pointed to the deficit as a sign that the Trump’s policies weren’t having an impact. Lim explained to Newsweek, however, that the large trade deficit is “mostly” not the result of Trump’s tariffs. “The trade balance of any country is statistically the result of domestic macroeconomic forces, particularly savings and investment, and not tariffs,” the professor said. She pointed to factors such as Trump’s 2017 tax cuts, the U.S. economy’s rapid growth, a strong dollar as well as the impact on exports from the strong dollar and retaliatory tariffs by China and other trading partners. Trump’s administration should “work with allies through the rules-based multilateral world trading system that the U.S. led in setting up” to address trade disputes with China, Lim said. The U.S. should “strengthen and not weaken the WTO [World Trade Organization],” she added. Trade tensions escalated with China last summer when Trump added new tariffs to billions of dollars of Chinese imports. Beijing responded in kind, adding retaliatory levies on American goods. 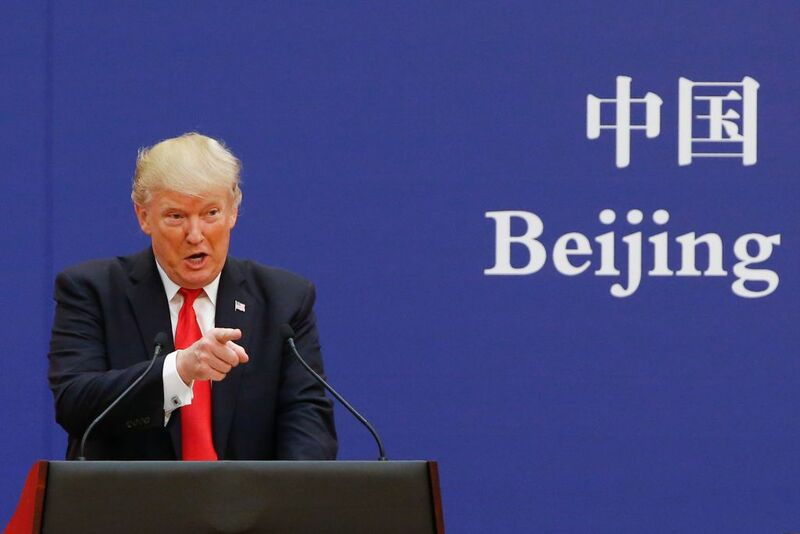 Chinese and U.S. negotiators have been discussing a resolution since December, with Trump expressing optimism that an agreement will be reached. Cohn served under Trump from January 2017 until April 2018. In Cohn’s Freakonomics interview, he also pointed to disagreements with Navarro and Secretary of Commerce Wilbur Ross as major reasons behind his decision to part ways with the administration.